According to its 2015 Economic Impact Statement, the base has an annual economic impact of nearly $767 million. Throughout the public input process, stakeholders consistently mentioned the base as one of the region’s great strengths. But like all military installations, the base’s scope and role would be subject to review should a future round of Base Realignment and Closure (BRAC) activities be called. Stakeholders in Wichita Falls understand this reality, as the 2005 BRAC round led to the consolidation of military medical training and the relocation of the 882nd Training group from Sheppard to Fort Sam Houston. A thriving Sheppard Air Force Base is vital to a healthy Wichita Falls economy. One positive to come out of the 2005 BRAC round, however, was the creation of the Sheppard Military Affairs Committee (SMAC), which has enabled the community to rally behind a consistent message. SMAC is a non-profit organization that serves as the voice for Sheppard Air Force Base and the broader region. It seeks to protect the base’s existing missions and jobs, pursue new missions, and enhance the base’s economic impact. This Catalyst focuses primarily on continuing the work of SMAC and its partners and further strengthening ties between the base and the broader community. In addition to its ongoing advocacy efforts, SMAC and its partners have taken proactive steps in recent years to support Sheppard Air Force Base and its missions. These include a Joint Land Use Study (JLUS) process completed in 2014 and a newly commissioned strategic planning process focused on mission sustainability for SAFB. Ensuring that the recommendations from these studies are implemented in a timely fashion will go a long way toward ensuring a thriving SAFB. This Strategic Pathway also includes support for additional needs and opportunities that emerged through public input – namely, additional outreach to the community and enhanced support to help connect military families and veterans to job and community engagement opportunities.  Attract and retain residents and businesses: SAFB is a vital component of the local economy and contributes to the presence of thousands of residents.  Increase prosperity for all residents: Ensuring a strong SAFB helps create private employment opportunities and increase prosperity even for individuals with no direct connection to the military.  Enhance the quality of life and quality of place: SAFB’s presence contributes to the community’s vibrancy and the diversity of restaurants, retail options, etc.  Promote inclusivity and equity: SAFB brings people from all over the world to Wichita Falls. 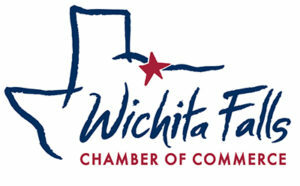  Improve internal and external perceptions of Wichita Falls: SAFB is a major source of community pride and is one of the things for which the community is best known outside the region.